We are a friendly local club catering for runners of all ages and abilities. 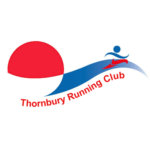 We meet for our main club session every Thursday at 7 pm at Thornbury Leisure Centre in the Filnore Suite. If you are new just introduce yourself at our welcome desk outside the room. We also meet on Tuesdays at 7pm in the Thornbury Leisure Centre upper car park for a beginners course as well as coached efforts.